Mr. Mills is regarded as a hotel operations expert, having completed multiple hospitality business restructuring, profit improvement plans and repositioning projects, most while working many years as a hotel Managing Director. In both Branded and Independent hotels. He helped lead company procurement for the New York Metro Region for Highgate Hotels, with more than hotel 20 properties. Responsible for completing business restructuring on multiple hotels, to improve services while driving down operating costs, improve profits while standardize systems and controls. While his career started in the hotel industry he stepped out from hotel operations in the late 1980’s into fine dining restaurants and later into high end retail food operations. All before making the natural progression back into hotels in the mid 1990’s though to today. Mills graduated from Ashland University with a B.S. in Business Administration, double majoring in both Hotel & Restaurant Management and in Marking Management, with a minor in Nutrition & Food Management. He began his professional career in NYC working for ITT Sheraton as the Food & Beverage Manager and Fine Dining Room Maître d’hôtel for the Sheraton Centre Hotel NYC. Not long after he advanced to the Omni Hotels, though several properties, to include opening the Sagamore Resort, Hotel & Spa as Food & Beverage Director in 1985. Then returned to NYC as Assistant General Manager for the Omni Berkshire Place Hotel. He later on went on to run top independent infamous restaurants like “Sign of the Dove” and “Arizona 206”. As well, with WR GRACE managing corporate hotel food & beverage operations for 8 independent hotels in NYC. To include many pre- opening hotel projects like the Ciboney Resort in Ocho Rios Jamaica, Lodge of Koele and Manele Bay Resorts in Lanai, Hawaii. Beginning in 1997 he returned to hotel property operations in 1997 as Hotel Manager, General Manager or Managing Director, first for The UN Plaza, The Algonquin, The Barbizon/Melrose Hotel, The Crowne Plaza Tudor Hotel, Embassy Suites, Battery Park (now Conrad Hotel), The Paramount Hotel followed by leading opening of Yotel New York City. Then headed back to Highgate Hotels, until the spring of 2015; Mills was at the large 800 room, Crowne Plaza Times Square, for 3 years. A company he had been prior from 2005 to 2010. Mills was always tasked to handle hotel business modifications, restructuring and repositioning hotels for Highgate Hotels. Mr. Mills co-founded GAM Hospitality – Management Company in May of 2015 with partner Mark Lahood. Through his various positions of leadership in the hospitality industry Mr. Mills only briefly left the New York City market once, with more than 30 years of experience having worked in 16 different New York hotels in both Branded and Independent Hotels in both traditional, life style and innovative creative concept operations. He was always seen as an innovator, “ideas leader” and politically connected steward for the hospitality industry in New York. Mr. Mills has also been a mentor to numerous hospitality leaders through the years, turning out many now successful general managers and vice presidents that serve in the industry. He also continued to advance his knowledge of the business by attending hospitality programs at both Cornell and NYU over the years. Having also served as an adjunct professor for NYU Masters Programs teaching Hotel Operations and Brand Creation. 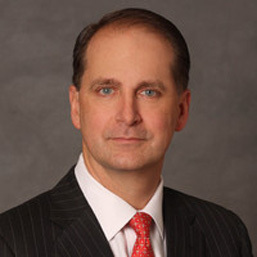 Mr. Mills’ professional affiliations are numerous, including serving as 2013 & 2014 Chairman of the Board for the Hotel Association of New York City, where he has served on the Board since 2002. He was also the 2014 Chairman of the Venture Board (combined HANYC, NYSHTA and AH&LA Boards) that owns/directs the IHMRS- Hotel Show and BDNY – Boutique Design Show’s annually. He is most recent past Chairman of the Board for the Food & Beverage Association of America where he served from 1993 to 2014. He served as Board Trustee for NYHTC & HANYC on the Hotel Benefits Funds, Scholarship Funds & Pension Funds. He served twice on the Times Square Alliance, where he worked to improve and promote Times Square, cultivating the creativity, energy and edge that have made the area an icon of entertainment, culture and urban life for over a century. He currently serves on the Board of Directors for the Boy Scouts of America – Greater New York City Councils, separately as Vice President of Programing for the Council, as well as on the Eagle Scout Hall of Fame Committee for fundraising to support Scouts for Summer Camperships each year. He has been honored with numerous Hospitality Industry Awards over the years. To Include the NYC – HSMAI “General Manager of the Year Award in 2003”. FOOD & BEVERAGE ASSOC. OF AMERICA, “Hospitality Professional of the Year 2013”. The GNYC BSA; “Hospitality Good Scout Award” in 2013. INSIDE BROADWAY, “Broadway Beacon Award; for 2017. Mr. Mills currently resides currently in Weehawken, New Jersey with his wife Geraldine, with two children Gregory and Gabriella.